The twists and turns in the Abdullahi Ganduje $5 million soap opera are unending. The soap is running daily. The video is also selling like hot cake on the streets of Kano. It’s looking like the biggest selling video in the history of this city. The Ganduje soap opera may end up being one of the longest soaps in Nigeria’s history if this Kano State Governor gets a second term. SERAP had in November asked the president to direct the investigation of Ganduje, “If there is a relevant and sufficient admissible evidence for him to face prosecution at the expiration of his tenure as governor.” This was never looked into for obvious reasons. This suit by SERAP is inspiring. The arguments put forward to back their demands are also compelling. 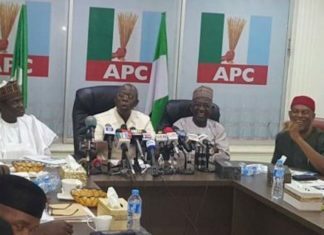 It is an undisputable fact that investigating allegations of bribery against Ganduje would be entirely consistent with the provisions of section 15; sub-section 5 of the 1999 Constitution, which requires the government to abolish all corrupt practices and abuse of power, regardless of the state where such practices are taking place. 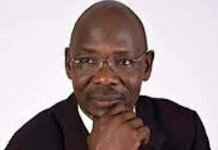 It is also a fact that the Attorney-General of the Federation has power conferred on him by section 174(1) (a) of the 1999 Constitution (as amended) and that anti-corruption agencies have the powers to act on the allegations of bribery against Ganduje for the sake of discharging their mandates, ensuring transparency and accountability, promoting the common good, peace, order and good government of the federation, which includes Kano State. The EFCC and other anti-corruption agencies have clearly been playing politics with the Ganduje issue. We have seen cases of sitting governors like Ayo Fayose being investigated and arraigned at the end of their tenure, after a strong case was established. Ganduje can’t be an exception. Nigerians genuinely interested in the war against corruption are hoping that SERAP will get the desired reprieves sought from the court. 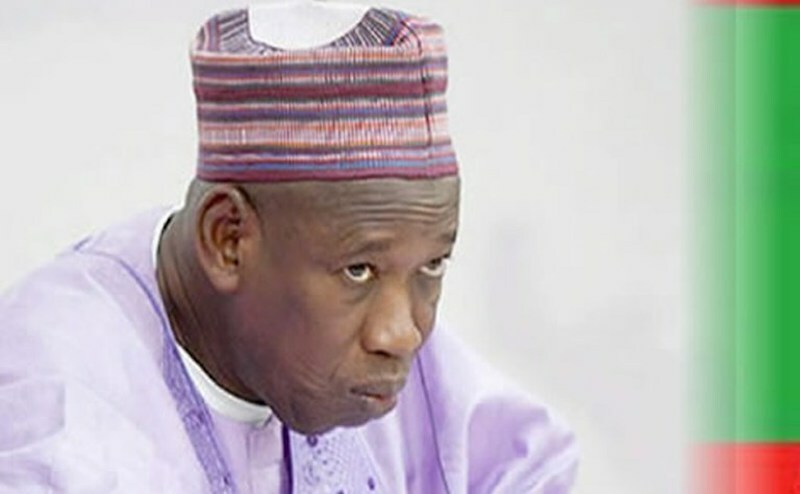 The earlier curious twist to the Ganduje soap was the injunction granted by a Kano State High Court, stopping the Kano State House of Assembly from continuing with the investigation into the $5 million bribery allegation. These lawmakers have been stopped from performing one of their statutory responsibilities by a court of law. What a country! I always burst into laughter whenever pro-Buhari activists regale us with how well the President has been fighting corruption. The Ganduja case is a classic example of the so-called total war against corruption. No wonder the Kano governor promised Buhari five million votes in 2019. For those who have not been following the story, Dogon Maje is a village in Tsafe Local Government Area of Zamfara State. Bandits struck in this agrarian settlement few days back, operated for hours, killing scores of innocent people. Homes were destroyed and animals stolen from the hapless villagers.Rayyahi Abubakar, a son of one of the victims, Mallam Ibrahim Kuryan-Madaro said his father was killed by the bandits who severed his head. He said one of the bandits called him on his father’s phone to tell him “we have just killed your father, come to Dogon Maje tomorrow and take his corpse”. A combined team of mobile police and Counter Terrorist Unit (CTU) arrived hours after the bandits left the village. What a country! As at press time, not even one of the bandits had been arrested by security agents. This is why killings are unending in Nigeria. Perpetrators are hardly brought to book. Killers go unpunished. Zamfara State is in a big mess. 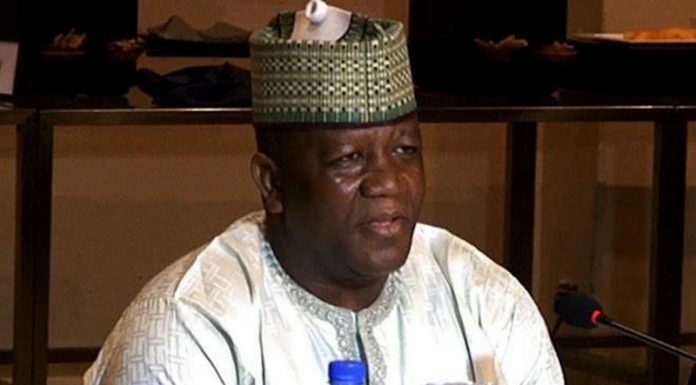 Governor Abdul-Azziz Yari resigned as the Chief Security Officer of the state out of frustration with the failure of the federal government to curb the killings. Security agents in the state have been overwhelmed by the bandits. Who will save Zamfara State? This is the big question begging for answer. In Lagos State, the so-called Centre of Excellence, public water supply remains a luxury. Conservatively, 98 per cent of homes and offices lack access to public water supply. We run a borehole economy here in Lagos. The frightening trend in the last 19 years is that communities that hitherto had access to public water supply no longer enjoy this “luxury”. It is a shame that residents of highbrow communities like Surulere and Yaba are now digging boreholes in their compounds due to the failure of public water supply. I read one phony apology letter written by the Managing Director, Lagos Water Corporation, Muminu Badmus, on Tuesday, pleading Legosians over the erratic water supply in the state. According to Badmus, the disruption was due to the epileptic power supply which affected water production at its major waterworks. “The corporation is working relentlessly on alternative power supply to strengthen its operations. The general public should conserve water, save, store, and use water wisely, especially during this period,” he said. The statement said that residents should continue to have trust in the corporation towards improved service delivery. It reiterated that the corporation was committed to the provision of uninterrupted potable water supply for all throughout the state. Certainly, this LSWC MD called Badmus has no business remaining a day longer in office. Public water supply has been epileptic in Lagos State for over 19 years. So, is Badmus unaware? This man who has been MD sinceOctober 2015 has just recovered from his slumber and he is now “working relentlessly on alternative power supply to strengthen its operations.” What has he been doing all the while in office? Was he expecting the APC to deliver on its bogus uninterrupted electricity supply? This same Badmus worked for a water firm in the United States that supplied water to even the White House. I am sure that the US firm he worked for never provided slipshod services to Americans. Badmus should just step aside. The monarch dismissed claims by security operatives that the ongoing military operations in the state and the Lake Chad region were yielding positive result. “On behalf of the traditional institution in Borno, I want to commend your Excellency for the commitment you have given towards ending the lingering crisis of Boko Haram. It is unfortunate that despite all efforts put in place to restore peace in our land and the north-east, we, the people of Borno State, are still under Boko Haram siege. “Nobody can dare move out of Maiduguri by 10 kilometres without being confronted, attacked by Boko Haram. Quite a number of farmers are being killed and kidnapped on a daily basis around Molai General Area, which is just 10 kilometres away from the metropolis, along Maiduguri -Damboa -Biu road. The President clearly got an informed briefing different from the lies of his war commanders. Unfortunately, I am not sorry to say that our President lacks the capacity to tame Boko Haram. I am hoping that our governors will not send some of us that worry a lot about this country to an early grave. One of such actions that left me bemused was the record N1.4 billion paid to a law firm as professional fees by the Akwa Ibom State Government. 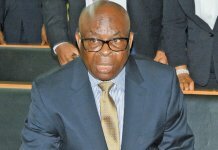 We were told that the payments were for “several dispute resolution matters handled for the state’s government.” There are speculations that it also covered job done on Governor Udom Emmanuel’s Election Petition Appeal that was decided by the Supreme Court early in 2016. 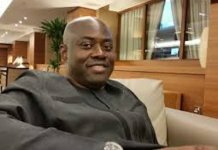 The payments moved straight from the account of Akwa Ibom State Government to that of the law firm. 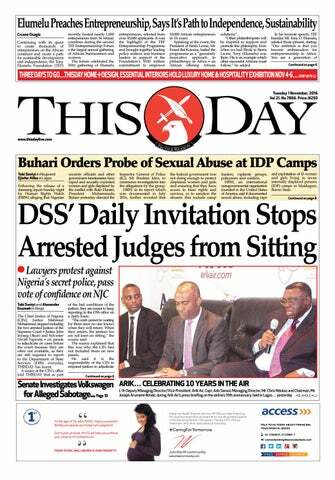 Udom Emmanuel has paid so much as legal fees in a state where there is abject poverty. He has paid so much in a state where education, health and road infrastructure are in tatters. This is a state where majority lack access to public water supply, yet, N1.4 billion went for the payment of ludicrous legal fees. On this issue, Udom Emmanuel is a big disappointment.